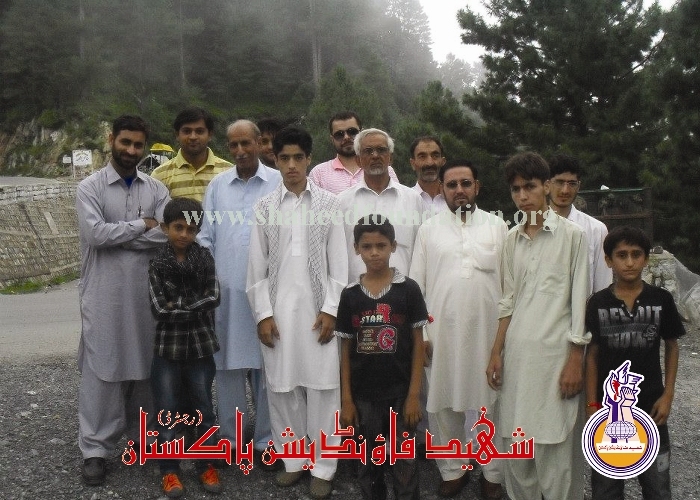 Rawalpindi: Annual Picnic 2012 for Shohada Families. 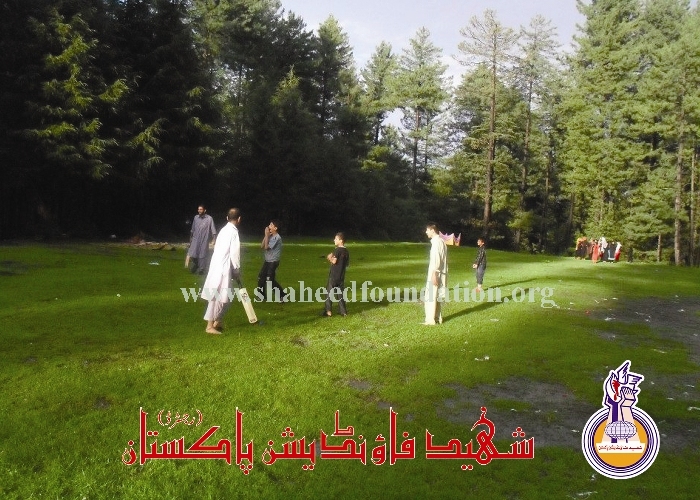 Shaheed Foundation Pakistan arranged an Annual Picnic on August 28, 2012 for Khanwada-e-Shohada of Islamabad and Rawalpindi at the scenic resort of Murree Kohasar. 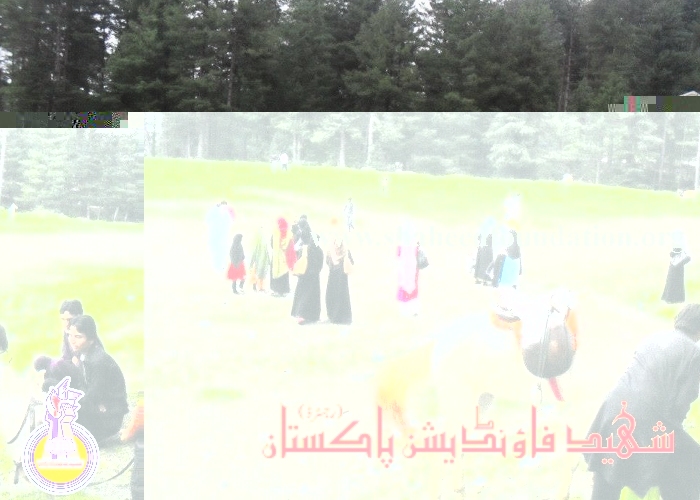 This picnic was officially celebrated for the first time for Khanwada-e-Shohada of Islamabad and Rawalpindi. A sizeable number of members of Khawada-e-Shohdas Rawalpindi / Islamabad alongside members of working committee heartily participated in the healthy recreational activity . 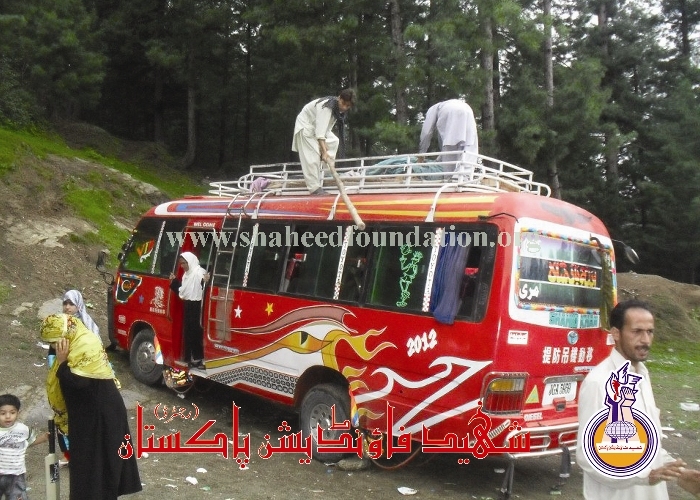 Volunteering brothers of Shaheed Foundation Pakistan arranged pick and drop facility for the dignified families of martyrs to transport them to picnic spot and back to their homes . fied families of martyrs to transport them to picnic spot and back to their homes . Lots of diverse but simple programs like quizzes and games had been chalked out especially for the children of Khanwada-e-Shohada on this occassion. As afternoon arrived working committee brothers served a sumptuous lunch and refreshments for the Khanwada-e-Shohada . Chilrden of Shohada families especially enjoyed throroughly the entire occassion and the smiles brought to their faces inshaallah will become a reason for attaining the pleasure of Almighty Allaah and inshaallah hopefully bringing peace to the distressed heart of Imam-e-Zamana (a.t.f.s) . All the working brothers felt deep inner contentment on seeing the families happy and enjoying ,for all the rigorous efforts Alhamdulillaah borne fruit. 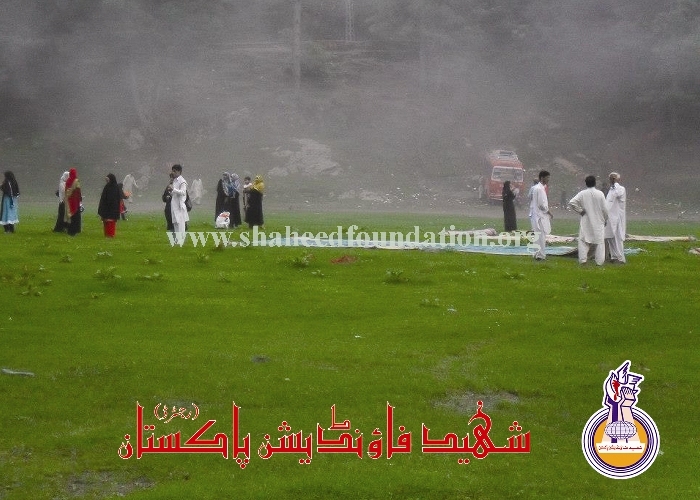 During picnic a special blessing of Almighty Allaah showered in the form of rain which made the atmosphere of the picnic spot a lot more memorable ,livelier and enjoyable for the children of Shohada families. A renowned personality of Rawalpindi & Islamabad Brother Syed Boturab Askari Abidi also attended the picnic and read Munqabats and other poems paying tribute to Ahlul Bayt and Shohada-e-Azeez-e-Millat-e-Jaffaria Pakistan and received deep appreciation from Shohada families especially. Central Committee Shaheed Foundation Pakistan wholeheartedly thanks Khanwada-e-Shohada , all the volunteering brothers who have joined the effort to serve the families of martyrs with their heart and soul , Brother Abu Turab as well as all those countless momineen of Millat-e-Jaffaria Pakistan whose strong moral and financial support makes these events possible Alhamdulillaah. It will not be out of place to mention that SFP is currently serving 1280 families of Shohada across 49 cities of Pakistan Alhamdulillaah with an annual budget exceeding 8 crore rupees in the last fiscal year. May Allaah bestow on Millat and especially Khanwada-e-Shohada His Choicest blessings and Bounties behaqqe Mohammad wa Aal-e-Mohammad S.A.W.W for upholding steadfastly the noble cause of martyrs of millat.